Shun Jiang, Huajing Fang, H-infinity static output feedback control for nonlinear networked control systems with time delays and packet dropouts, ISA Transactions, 2013, 52(2), 215-222. Zhen Luo and Huajing Fang，Modified state prediction algorithm based on UKF，Journal of Systems Engineering and Electronics 2013, 24(1) 135-140. Huajing Fang, Zhihai Wu, Jia Wei, Improvement for Consensus Performance of Multi-Agent Systems Based on Weighted Average Prediction，IEEE Transactions On Automatic Control, 2012, 57(1), 249-254. Zhihai Wu，Huajing Fang，Yingying She，Weighted Average Prediction for Improving Consensus Performance of Second-Order Delayed Multi-Agent Systems，IEEE Transactions On Systems, Man and Cybernetics Part B: Cybernetics, 2012, 42(5), 1501-1508. Xiongbo Wan, Huajing Fang, Fang Yang, Fault Detection for a Class of Networked Nonlinear Systems Subject to Imperfect Measurements, International Journal of Control, Automation and Systems, 2012, 10(2), 265-274. Xiongbo Wan, Huajing Fang, Fault Detection for Networked Nonlinear Systems with Time Delays and Packet Dropouts, Circuits, Systems, and Signal Processing, 2012, 31(1), 329-345. Yong Zhang，Huajing Fang，Baoxian Wang，Stabilization of nonlinear networked probabilistic interval delay systems with sensor random packet dropout, Asian Journal of Control, 2012,14(2), 466-475. Xiongbo Wan，Huajing Fang，Sheng Fu，Observer-based fault detection for networked discrete-time infinite-distributed delay systems with packet dropouts，Applied Mathematical Modeling, 2012,36(1),270-278. Yong Zhang, Huajing Fang, Tianyu Jiang, Fault detection for nonlinear networked control systems with stochastic interval delay characterisation，International Journal of Systems Science, 2012, 43(5), 952-960. Zhihai Wu, Huajing Fang, Delayed-state-derivative feedback for improving consensus performance of second-order delayed multi-agent systems，International Journal of Systems Science,2012, 43(1), pp 140-152. Yong Zhang, Huajing Fang， Stabilization of nonlinear networked systems with sensor random packet dropout and time-varying delay，Applied Mathematical Modelling, 2011，35 (5) 2253–2264. Yong Zhang, Huajing Fang, Fault detection for nonlinear networked systems with random packed dropout and probabilistic interval delay, International Journal of Adaptive Control and Signal Processing, 2011, 25, 1074-1086. Yong Zhang，Huajing Fang， Robust fault detection filter design for networked control systems with delay distribution characterisation，International Journal of Systems Science， 2011， 42(10), 1661-1668. A.H. Tahoun,Hua-Jing Fang, Adaptive stabilisation of networked control systems tolerant to unknown actuator failures, International Journal of Systems Science, 2011,42(7),1155-1164. Xiongbo Wan, Huajing Fang, and Sheng Fu，Fault detection for networked systems subject to access constraints and packet dropouts，Journal of Systems Engineering and Electronics, 2011， 22 (1): 127-134. Yong Zhang, Huajing Fang, and Zhen Luo, H∞-based fault detection for nonlinear networked systems with random packet dropout and probabilistic interval delay, Journal of Systems Engineering and Electronics, 2011,22 (5): 825-831. Bo Yang，Huajing Fang，Hua Wang，Second-order consensus in networks of dynamic agents with communication time-delays，Journal of Systems Engineering and Electronics, 2010，21(1), 88-94. Zhang, Aiqing, Fang, Huajing, Robust H-infinity fuzzy control for uncertain Markovian jump nonlinear singular systems with wiener process ,Journal of Control Theory and Applications, 2010,8(2),205-210. 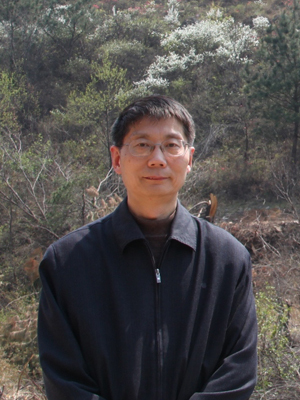 Bo Yang, Huajing Fang，Forced consensus in networks of double integrator systems with delayed input，Automatica, Volume 46, Issue 3, March 2010, Pages 629-632. Fang Yang, Huajing Fang, Control structure design of networked control systems based on maximum allowable delay bounds, Journal of the Franklin Institute, 2009, 346(6),626-635. Changlin Ma, Huajing Fang，Research on stochastic control of networked control systems，Communications in Nonlinear Science and Numerical Simulation, 2009，14（2），500-507 . Zhang Aiqing, Fang Huajing，Robust reliable guaranteed cost control for nonlinear singular stochastic systems with time delay，Journal of Systems Engineering and Electronics,2008，19（4），791-798 . Wu Zhi-Hai, Fang Hua-Jing, Cascading Failures of Complex Networks Based on Two-Step Degree, Chinese Physics Letters, 2008, 25(10), 3822-3825. Huajing Fang， Hao Ye and Maiying Zhong, Fault diagnosis of networked control systems, Annual Reviews in Control, 2007, 31(1) 55-68. 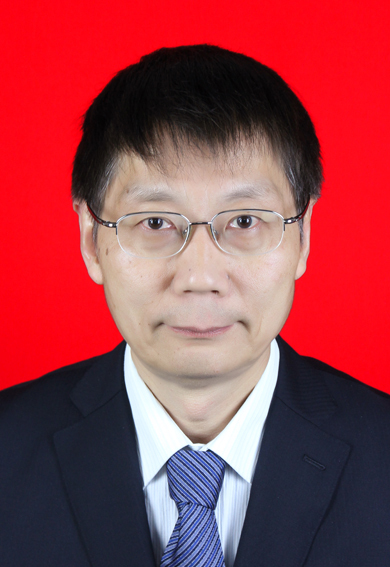 Changlin Ma and Huajing Fang, Research on mean square exponential stability of networked control systems with multi-step delay , Applied Mathematical Modeling, 2006，30(9), 941-950.